lulu designs features a collection of unique items ranging from handwoven to handmade. Each piece is one-of-a-kind promising every client an original creation. Handwoven scarves, shawls and blankets are made from luxurious fibers including rayon, silk, chenille and perle cotton which produce comfortable lightweight fabric. 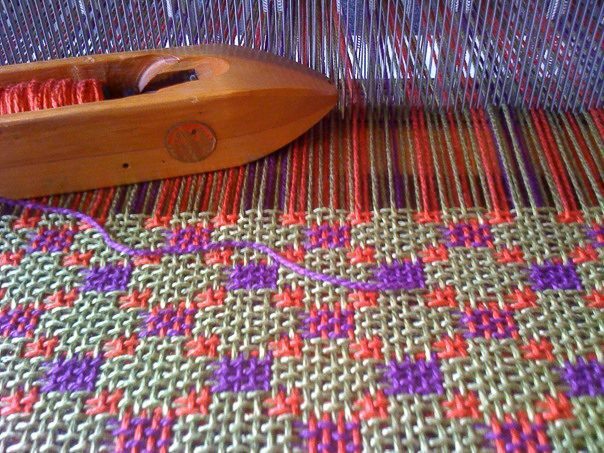 lulu designs creations are noted for their color and texture combined in interesting weave structures that distinguish them from commercially manufactured pieces. Fabric and thread necklaces have become a must have accessory. They are creations made from remnants in my studio that I could not bear to throw away! I am lucky enough to own a Lulu original scarf, woven not only diverse threads, but by a woman with unique perspectives. Each time I wear it, I know that I am unique and others tell me that I look quite chic. I’m sure they are right. Every time I wear my necklace I get rave notices! Love my one of a kind LULU.